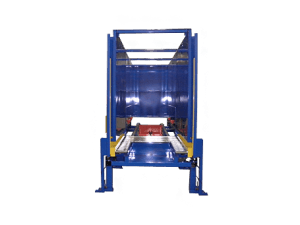 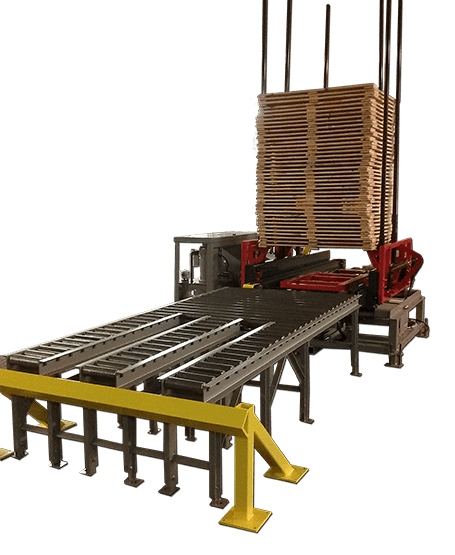 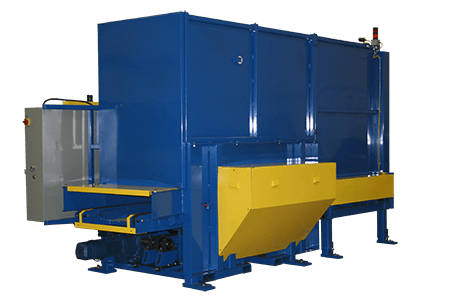 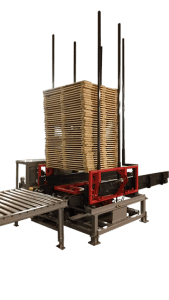 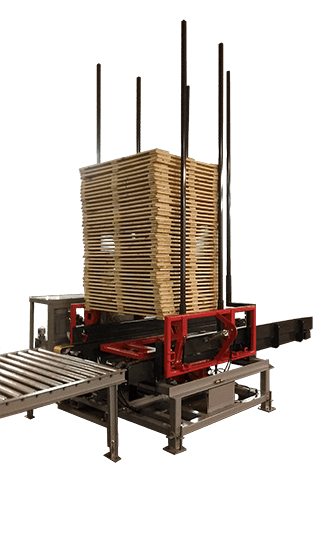 AMS can custom design and manufacture Specialty Stackers providing functionality consistent with a wide variety of applications, such as slave boards, crates, pallet tops, and collapsible totes. 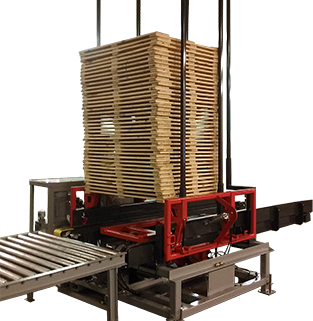 A full design and supply integrator, AMS can create innovative designs, providing increased safety, productivity, and profitability. My profits have increased and I’ve had no workman’s compensation claims since my Nailing on the Fly system was installed over two years ago. 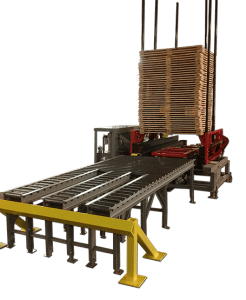 I can even work my people a couple of hours of overtime with no complaints because there is no fatigue factor. 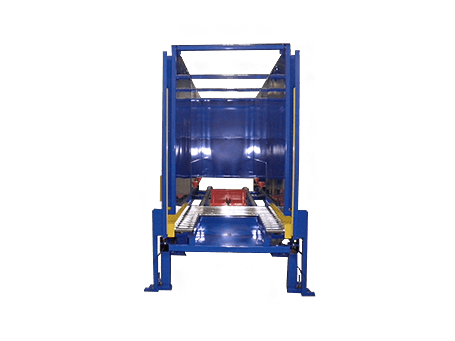 © Copyright Automated Machine Systems, Inc.